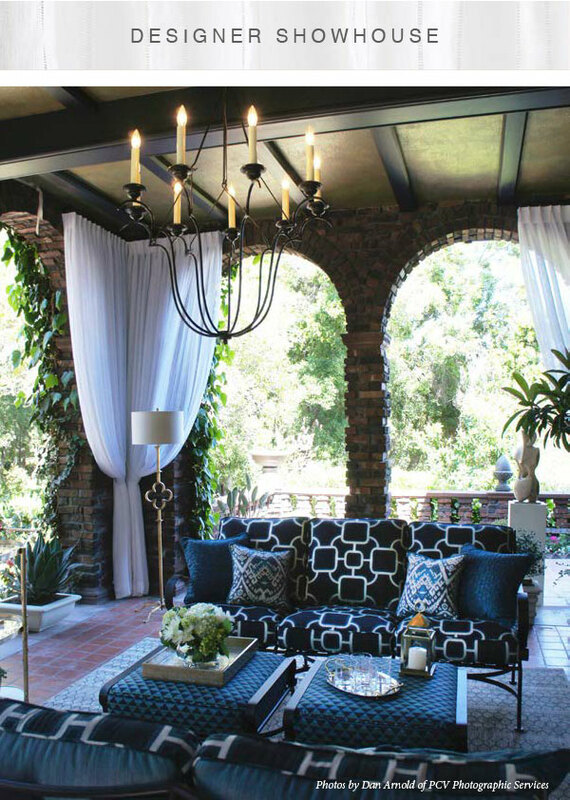 From the living room by Robert Frank to this loggia by Ederra Design Studio, the Pasadena Showcase House of Design was full of Robert Allen and Beacon Hill fabrics. 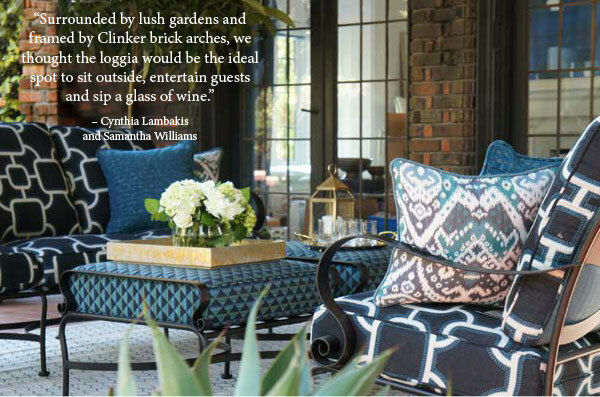 For their concept, “Cocktails at Five,” designers Cynthia Lambakis and Samantha Williams used indoor/outdoor patterns in navy and turquoise hues from our new Wanderlust and Cloudscape collections. Sheers enhanced the “living room” feel and framed the view for a happy hour setting as dreamy as the movie La La Land—which you may recognize the loggia from. As a principal at Ederra Design Studio and a native of Southern California, Cynthia Lambakis has a deep appreciation for the historically-significant architectural styles found in the San Gabriel Valley. Lambakis delights in helping locals restore historic properties to fit their contemporary lifestyles. A former lawyer-turned-designer, principal Samantha Williams is a LEED AP committed to promoting green and sustainable design. Her work draws inspiration from her travels through Europe, North Africa and the Middle East. Discover more of their work at ederradesign.com. Explore Wanderlust, the new Indoor/Outdoor collection by Robert Allen. 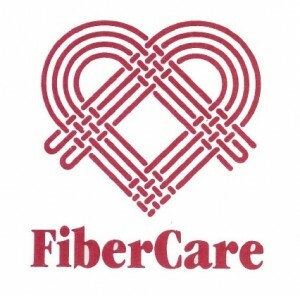 FiberCare Dallas specializes in caring for fine fabrics. 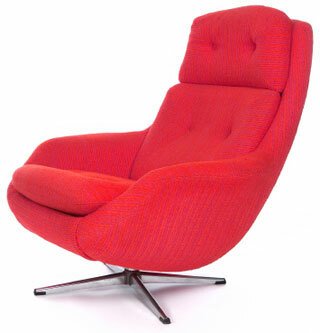 For your home we offer long lasting fabric protection and cleaning services for upholstery, draperies, rugs and carpet. For your commercial use we offer a variety of finishes by the yard, including flame proofing, protection, backing and lamination. FiberCare and The Cleaning Company work together to keep your fine furniture, draperies, rugs and carpet cleaned and protected. FiberCare is an invisible, long-lasting finish that protects against spots, stains and spills. The Cleaning Company specializes in a custom hand cleaning of fine fabrics, rugs and draperies. We are located in Dallas, Texas.